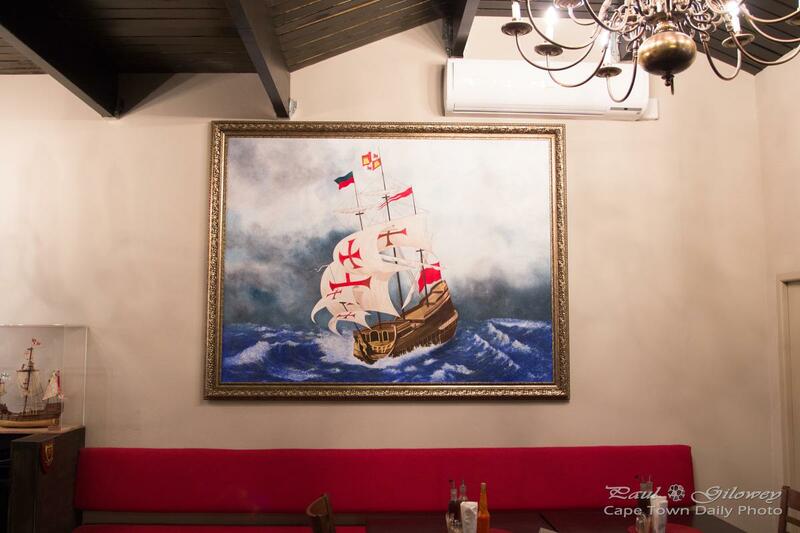 Cape Town has some history with Portuguese sailor Vasco da Gama. I took this photo at the Vasco da Gama Tavern in De Waterkant. The Vasco da Gama is one of the older pubs in Cape Town. It's so old that my dad (who used to work at Table Bay Harbour and who's now in his 70s) regales stories of how he used to visit the pub over lunch times for their legendary eisbein. Posted in General and tagged pubs, restaurants on Sunday, 24 May, 2015 by Paul.